Providing your dog with 'more than just a walk in the park'! ​ especially designed for devoted dog owners who want the very best for their dog. Is your dog REDUNDANT? Do you worry they'll find their own fun while you are out? IS YOUR DOG REDUNDANT WHEN YOU ARE OUT AT WORK? ​Do you worry they are getting bored, stressed, depressed or destructive when you are out? 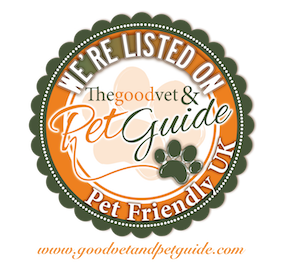 Do you wish you could find an exceptional dog walker that will give your dog a structured outlet for all that pent up energy and in turn improve your dog's well-being, behaviour and stress levels? Do you think your dog would benefit from more than just a normal, ordinary walk but you don't necessarily want them 'stuck' in day care all day. We have the perfect solution, our ADVENTURES offer MORE than a normal dog walk keeping your dog happy and content and able to RELAX at home for longer. 'Our mission is to help dog owners by giving them a solution to leaving their dog home alone on a regular basis. Dogs need to feel happy and content within their own home, they need to know that seperation from their owner can be a good thing, they need to develop coping skills rather than seperation anxiety. Our adventures offer your dog more than just a run -of-the-mill walk which keeps your dog physically and mentally stimulated whilst out with us, by giving them a challenge, a job to do on every adventure, they look forward to being out with us and then settle easily and quickly afterwards. They are content to return home and wait for your return, thus eliminating the stress of coming home to a anxious, depressed or destructive dog. We believe this is much better than day care where dogs are held together in an area outside of the home environment and dogs never therefore learn how to be home alone, and develop a NEED for constant company'. Sarah - Mrs P.A.W.S. Owner of Paws Adventure Walking Service (or P. A.W.S. for short). Mrs PAWS practicing some DOGA! Providing much more than just a toilet break! !